Just over two weeks ago now (has it really been that long?! 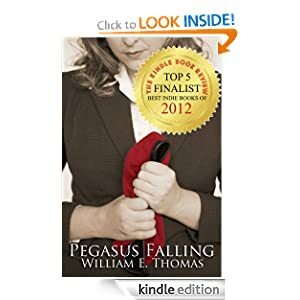 ), we discovered that William’s debut novel, Pegasus Falling, has been named as a Top 5 Finalist in the Kindle Book Review’s Best Indie Books of 2012 contest in the Literary Fiction category. In just ten days time, we’ll know the winner. This really is an enormous honour. The book was up against some very stiff competition – out of hundreds of entries, only five Literary Fiction books are left standing, and I can’t quite believe that Gramps’s book is in amongst them. But that’s not necessarily a bad thing. Since the finalists were announced, I have been in touch with the other four authors and it has been fantastic getting to know them. All five of the finalists look like incredible books, and I wouldn’t like to be the one having to choose the winner out of them. Thankfully, it’s not my decision. Here are the other finalists in the Literary Fiction category, and links to the interviews which have been held as part of the Best Indie Books blog tour which has taken place over the last week. There are some great interviews here revealing more about the books and their authors. Please consider supporting them by picking up a copy for yourself and spreading the word. I’m certain that you won’t be disappointed by any of them. For Nelson Gody, the summer of 1969, the summer he would turn sixteen, began as all his past summers had. Life on his family’s small farm outside Bells Ferry, Mississippi, was safe and routine: chores, taking care of his little sister, working at a local gas station, swimming in the Wolf River with his best friend–his world was familiar and predictable. All that would change as young Nelson experiences his first love, wrestles with the secret his best friend has been hiding, and meets a mysterious stranger who appears one day on an exotic motorcycle called the Black Shadow. Capped by the devastating effects of hurricane Camille, the events of that summer ensured that life as Nelson knew it would never be the same again. In his first full-length novel since since the critically acclaimed Return to Innocence (1st ed. 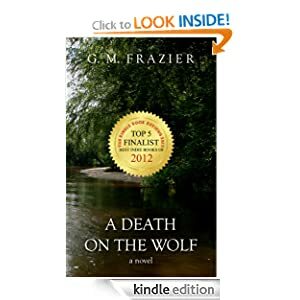 1999), G. M. Frazier takes us back to a simpler and more carefree time in American life with an uncompromising coming of age story that deals with hard-hitting issues that are tackled head-on with courage, not only by the writer, but by the characters he has created. For readers who spent their tween on teen years in the late 60s, A Death on the Wolf will take you back to a familiar time and introduce you to unforgettable characters. For younger readers, the story will give you a glimpse of teenage life that is no more, and yet shows how courage, morality, and friendship are timeless concepts in the face of life’s trials and tribulations. 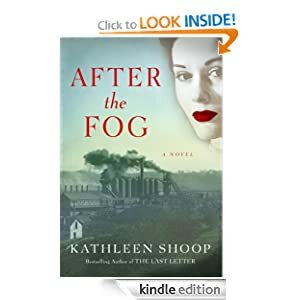 It’s 1948 in the steel town of Donora, Pennsylvania, site of the infamous “killing smog.” Public health nurse, Rose Pavlesic, has risen above her orphaned upbringing and created a life that reflects everything she missed as a child. She’s even managed to keep her painful secrets hidden from her doting husband, loving children, and large extended family. When a stagnant weather pattern traps poisonous mill gasses in the valley, neighbors grow sicker and Rose’s nursing obligations thrust her into conflict she never could have fathomed. Consequences from her past collide with her present life, making her once clear decisions as gray as the suffocating smog. As pressure mounts, Rose finds she’s not the only one harboring lies. When the deadly fog finally clears, the loss of trust and faith leaves the Pavlesic family—and the whole town—splintered and shocked. With her new perspective, can Rose finally forgive herself and let her family’s healing begin? Tess Johnson has it all: her handsome photographer husband Beau, a thriving business, and a newly discovered pregnancy. When Beau accepts an overseas photography assignment, Tess decides to wait to reveal her secret–only she’s never given the chance. Beau’s helicopter crashes in the desert. What happens next sets off a chain of events that pitches Leen, just 15, and her family against the German forces when they are most desperate – and fierce. Leen tries to hold her family together, but despite her efforts, bit by bit everything falls apart. And just when Leen experiences a horrific loss, she must make a decision that could forever brand her a traitor, yet finally allow her to live as her heart desires. A great choice for fans of Stones From the River, The Book Thief, Those Who Save Us, and Sarah’s Key, River in the Sea is a tale of first love, tragedy, intrigue and betrayal. 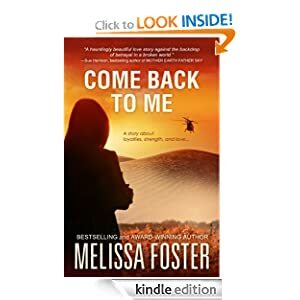 Not just another war story, it is that rare book that makes your “emotions just pour from the pages as you read and continue to root for the characters” (Valerie Bowen, author of the For the Sake of Amelia series, 5/5 stars). 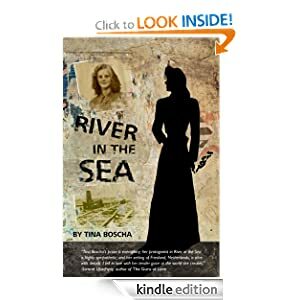 Inspired by the life of the author’s mother, River in the Sea is a powerfully moving account of one girl reaching adulthood when everything she believes about family, friendship, and loyalty is questioned by war. Arnhem, 1944. Captain Stanley Adam Malcolm Parker – Sammy to his friends – and his platoon have fought bravely, but it was always a losing battle. The bridge was unwinnable. After he and his men are forced into cattle trucks and transported across Germany on a three day journey without food or water, Sammy lashes out at an SS officer with brutal and devastating consequences…for him and his German opponent.